A recent Ontario S.C.J. decision illustrates the need for clearer regulation of “screening for power imbalances and domestic violence”, a mandatory component of Ontario family arbitration. Regulation 134/07. It also demonstrates that notwithstanding the latitude permitted family arbitrators under the regulation, screening should be done by the mediator-arbitrator, and not the parties’ lawyers, before mediation begins. Screening is a form of early triage to identify those cases where private dispute resolution is not likely to be fair, effective or safe. Docherty v Catherwood is a trial decision that followed a failed mediation-arbitration. The arbitrator, a highly respected retired judge, began mediation in a mediation-arbitration before both parties had been screened for power imbalances and domestic violence. The lawyers—both very experienced-- had provided certificates of Independent Legal Advice as required. The husband’s lawyer certified that the husband “had been” screened; the wife’s lawyer certified that the wife “would be” screened. All of the above is permitted under the regulation. Three months and many tens of thousands of dollars later, when the mediation failed and the parties were preparing for arbitration, the wife met with a respected screening specialist. She identified the wife as a procedurally vulnerable victim of domestic violence and recommended against arbitration. If the screening had been done differently, could the entire costly process have been avoided? Was the case ever appropriate for private med-arb? Ought it to have been screened back into court from the start? 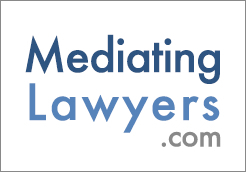 There are good reasons for parties to try mediation, arbitration or med-arb. The record is private, and it can be fast. In med-arb, if the case does not settle, the same trusted professional will make a decision based on evidence and in a process the parties have designed. However, if there is a significant imbalance of negotiation power, particularly one that arises from violence, private dispute resolution can be dangerous, ineffective and needlessly expensive. Risks include processes that do not meet the parties’ needs; inaccurate assessments of credibility (because victims of violence can be difficult people) which can be highly prejudicial in the intimate context of mediation and arbitration; outcomes that are coerced; a party, child, lawyer, or mediator/arbitrator being threatened, harmed or killed; or simply expensive, failed processes. Regulation 134/07 requires arbitrators to be trained to identify the types of family violence; the factors and behaviours that predict post-separation harm or murder; the steps to take when a mediator-arbitrator believes such risks are present; and the ways to support both parties in finding a process that will be better for them (“safe termination”). It requires family arbitrators to certify that they have screened the parties themselves or that someone else has done the screening. Family arbitrators must pay attention to the results of the screening process throughout the arbitration. Why is screening essential in family arbitration? 1. Domestic homicides increase exponentially at separation. A legal consultation alone increases the chance that an abused spouse will be murdered. Adversarial processes escalate risk further. 2. Arbitrators provide a private service with a hefty price tag. It requires parties to opt out of many rights: a court hearing with full appeal options, a public record, security, access to quick restraining orders, easy enforceability of orders, access to family court support (domestic violence) workers, the authority of a sitting judge, access to duty counsel, access to free or heavily subsidized court-connected mediation that includes extensive screening, and other features that benefit the vulnerable. 3. Once a party agrees to arbitrate, they cannot change their mind. In a med-arb, they can quit the mediation– but not the arbitration unless both consent. Since family arbitration screening was mandated many mediator-arbitrators have relied on the lawyers to certify that their clients were screened. This is a poor practice. Lawyers meet only their own clients; the arbitrator cannot meaningfully “consider the results of the screening”; and confidentiality cannot be maintained if each lawyer is reporting results of screening to the arbitrator. Any violation of screening confidentiality can put a client’s safety at risk. Those of us who do our own screening (everyone who is an accredited family mediator must screen) we find it makes for a much better process for everyone. We meet each client confidentially, before taking the case, to learn what each person needs procedurally to fully participate. If our risk assessment suggests the case is not suitable for med-arb, we will refer the parties to a process that we feel is better suited to them. Screening is supportive of each person; non-judging, non-fact-finding and purely focused on risk assessment and safety planning. Can confidential meetings with mediation clients who may become arbitration clients lead to a biased arbitrator? Probably not; it really is no different from caucusing, something we all do routinely. And if it does, I would argue that the case is probably inappropriate for private med-arb. Those mediator-arbitrators who are uncomfortable with the idea should, as a second-best option, send both clients to the same respected third party screener, and receive a confidential report from that person, rather than rely on counsel. Those of us working in family law can count on one thing never changing: we are in a danger zone. The percentage of separations involving some form of family violence/abuse has remained steady at about 50%. The numbers are higher among cases in court. There are more cases still involving violence plus mental illness, job loss, substance abuse, depression or other significant imbalance of negotiation power that can indicate a safety or other risk. The first six months post-separation, when the parties are often dealing with lawyers, are the time of highest risk to personal safety. We know that victims of domestic violence are often too afraid, embarrassed or unaware of the seriousness of the risk they face to disclose it to their lawyers. The higher the incomes and social status, the more obstacles to disclosure. And we also know that if you only ask questions about violence, you will miss a large number of potentially highly dangerous cases, because the dangerous power imbalances arise in relationships based on coercion and control; violence may be a relatively minor factor. Cases may not be appropriate for private dispute resolution for many reasons: the parties are too far apart; they are too high conflict; one or both lacks insight; the parties are not governable enough to comply with the rules; one party lives in fear for their life or that of their children; one party is too depressed to participate effectively, etc., and the oversight of the court is required. Under Ontario’s Arbitration Act Regulation, only family arbitrators are required to take training in assessing whether a case is suitable for private ADR, known as screening. Screening is a process of identifying, assessing and managing these forms of power imbalance, family violence and risk. Many family lawyers have not taken this training. Most of us who provide ADR processes believe that we have the responsibility to provide, to the best of our ability, a safe, effective and appropriately-designed process of negotiation and/or determination. This duty can be implied by the Standards of Practice and Codes of Conduct of our governing organization (eg. the Abuse Policy of the Ontario Association of Family Mediation) or the law (eg. the regulation under Ontario’s Arbitration Act; in British Columbia, s. 8 of the Family Law Act). If neither the lawyers nor the mediator/arbitrator knows about a significant power imbalance resulting from coercive controlling violence, for example, the safety of clients or their children could be at risk by something as seemingly benign as sitting together in the waiting room. Parties may participate in a process for which they are poorly suited, ungovernable, or incapable of participating effectively. Victims of violence may, unbeknownst to the mediator-arbitrator or lawyers, be coerced. Subtle threats of retaliation, undetected by anyone but the victim, may prompt unbalanced agreements or irrational behaviours. Victims may be seen as difficult, unpredictable, inconsistent, unreliable, unreasonable, and judged critically because they are terrorized or traumatized… with none of the lawyers nor mediator-arbitrator understanding why. Experts will tell you that it can often be difficult to accurately assess power imbalances, and the assessment may not be made correctly right away, if ever. This is why, under the Regulation, arbitrators must consider the results of the screening not only before the process begins, but also throughout. There are two common arguments made against screening in family arbitration, aside from the concerns about bias and costs noted in the first post in this series. First: judges don’t screen so why should we? The answer is easy: we are not judges. We are taking people’s money, in a private process, presumably because we can offer something better. Second: we are lawyers, not mental health professionals. Again, the answer is easy. Screening is not mental health work; it is risk assessment, a valuable step in contemporary family dispute resolution. It is important to acknowledge that none of us is perfect. The best screening processes provided by the most experienced screening professionals can still result in parties entering processes to which they are not suited. We do not guarantee safety or accuracy of assessment; we can only conscientiously and consistently implement the best practices we know. What is, then, the best practice for screening in family mediation-arbitration? The community of those who teach and practice screening have agreed on this. They will be discussed in the next section. There is a consensus among those who teach and practice screening for power imbalances and domestic violence that some ways of doing it are better than others. The best practice has been established and used for years in the context of mediation, and is adapted for family arbitration. 1. Before starting the mediation phase of a mediation-arbitration, mediator-arbitrators should meet with each party, separately and confidentially, to assess whether the case is appropriate for mediation-arbitration. The mediator-arbitrator will seek to learn the concerns each client has about procedure; it is not a fact-finding exercise. 2. A key element of screening is its confidentiality. A person who has been threatened with death or fears for their life, or that of their children, will not disclose this fear unless they feel safe. The risk of retaliation for letting the ‘cat out of the bag’ in such cases is too great. Parties must be able to trust mediator-arbitrators to respect the confidentiality of all disclosures made in a screening process. Screening is supportive of the needs of both parties. It is not for the purpose of finding out who is truthful, who is “good” or who is ‘bad.” It is a non-judging, supportive procedural risk assessment, designed to inform the mediator arbitrator sufficiently to decide whether to take the case and, if so, how to structure it well and safely for all. It is the mediator-arbitrator’s job to find out what is needed to do this, and to get that information in a safe way. If the mediator-arbitrator relies on the lawyers to do the job, then each party will be screened by a different person, making it obvious who disclosed information that caused the arbitrator to decide to terminate the process. This breach of confidentiality can be dangerous to someone in a coercive controlling relationship. No one, other than the mediator-arbitrator, should know who “caused” the process to not proceed. This is why the best and safest practice is for the mediator-arbitrator to do his or her own screening; or, alternately, send both clients to the same expert on screening processes, who will meet with them each separately and confidentially, and ask that person to provide a single confidential report back to the arbitrator with procedural recommendations that do not disclose which party provided what information. Neither party should know when the other was screened, or what the results of that person’s screening meeting was. A “Confidential Screening Report”, for example, should not be made an exhibit at a trial, or made public in any way. Such reports are provided to arbitrators in confidence, strictly for the purpose of helping the mediator-arbitrator decide whether to take the case and, if so, how to structure it safely and well for all. If a mediator or arbitrator feels that a case is inappropriate for mediation-arbitration because one party is afraid or other power imbalances that cannot be addressed through adaptions in the process, the mediator-arbitrator should simply decline the case as being inappropriate. To disclose any more could put a victim of coercive controlling violence at risk of retaliatory harm. 3. If the mediator-arbitrator decides to proceed, he or she should design the process with the safety of the parties in mind. Should they be allowed to wait together? Should lawyers be present at all times? Should they come and leave at different times? 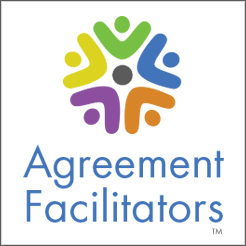 Should there be referrals to counselling, anger management or court support workers for one or both, to assist their ability to manage the negotiation or the giving of evidence in the arbitration? Should there be security? Does this impact the decision about whether a reporter should be present? Is there a risk to the mediator-arbitrator’s safety? Should special precautions be taken? These procedural “safety planning” decisions should be made in a non-judgemental way, blaming neither party, and seeking to meet the individual needs that both parties will have expressed in their respective screening meetings. It is a process that supports them both, blames neither, and seeks to give them a safe and effective mediation-arbitration process, one that is more likely to help them reach a fair settlement and enable them to participate fully and effectively in a safe mediation-arbitration. 4. These steps should be taken whether the parties have lawyers or not. Many assume that lawyers understand the risks faced by their own clients but the facts may not support this assumption. Lawyers often do not ask their own clients essential questions about risk and safety; victims of violence sometimes have been so focused on getting out of the relationship safely that they do not appreciate the risks they face until they are interviewed by a trained professional. Abusive clients often hide behind their stature in the community, their compelling personalities, their cultural or religious identity or their seemingly reasonable, rational behaviours. They are often able to credibly portray their traumatized spouse as “crazy”, “irrational”, “over-protective parent” or even an “alienator”. Lawyers can be the last to know. 5. In those cases where the case is going directly to arbitration, with no mediation component, the Regulation requires the arbitrator to have the screening done by a third party. The best practice is for the arbitrator to require both parties to meet with the same professionally trained “screener” who understands family law, mediation, arbitration, the dynamics of power and control, and screening procedures. The arbitrator should trust this person to provide him or her with a reliable sense of the suitability of the case for arbitration. This “screener” should meet both parties, separately and confidentially, and provide the arbitrator, in confidence, with a report that gives the arbitrator enough information to design a safe process and comply with his or her duty of identifying, assessing and managing the power dynamics at the start and throughout the arbitration process. Relying on the lawyers to screen their own respective clients, or having each party screened by a different third party, although permitted, presents the arbitrator with considerable challenges in ensuring reliable and early risk assessment and maintaining confidentiality. Screening for power imbalances and domestic violence is an important first step in all family law dispute resolution; and more so in mediation-arbitration than any other process. It is our hope that this discussion will reinforce the value of arbitrators implementing consistent and reliable screening protocols. Hilary Linton, J.D., LL.B., LL.M. (ADR), Acc. FM is a Toronto lawyer whose practice is restricted to providing mediation, arbitration, teaching and consulting services. She litigated family and civil disputes for 14 years and then obtained an LL.M. in ADR at Osgoode Hall Law School. She used that experience to launch her ADR business, Riverdale Mediation, which specializes in family mediation and arbitration, teaching mediation and negotiation theory and skills, and private training and consulting for corporations, government and individuals.